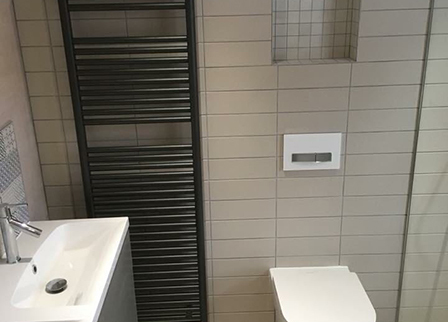 TD Plumbing and Heating Services, established in Urmston over 8 years ago by Tom Parkin, we are a family run business providing expertise in all aspects of plumbing and heating, installation and service. From a dripping tap to full central heating or bathroom installation, our promise to each and every customer is to provide an honest, reliable and expertise lead service. Our growing customer base throughout Greater Manchester, Cheshire and Lancashire, are satisfied customers which include landlords, letting agents, builders, property developers and of course home-owners. Quoting only for the job at hand, nothing more and nothing less, our guarantee is that of transparency, openness and clear communication. Whether you would like to increase the efficiency of your heating and plumbing system, reduce your heating or water bills, or simply make your home a warmer place to be we can help. We take an enormous amount of pride in running our business with a hands-on and personal approach.